Lexington is the second-largest city in Kentucky and the 61st largest in the United States. 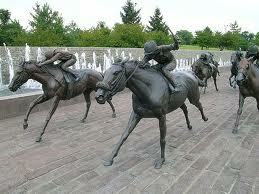 Known as the "Horse Capital of the World", it is the heart of the state's Bluegrass region. It is one of two cities in Kentucky designated by the state as first-class; the other is the state's largest city of Louisville. Lexington ranks tenth among US cities in college education rate, with 39.5% of residents having at least a bachelor's degree. It is the location of the Kentucky Horse Park, The Red Mile and Keeneland race courses, Rupp Arena, the world's largest basketball-specific arena, Transylvania University, the University of Kentucky, and Bluegrass Community & Technical College.